Cells collect, decompose and recycle surplus or damaged cell material. This process, known as autophagy, is important, because cellular waste can be harmful to the entire organism if it accumulates in the cells. Like the treatment of household waste, autophagy requires certain mechanisms and elements. A team led by Prof. Dr. Claudine Kraft from the Institute of Biochemistry and Molecular Biology at the University of Freiburg and Levent Bas from the Institute of Biochemistry and Cellular Biology at the University of Vienna in Austria has made new findings on the role of proteins in the amalgamation of autophagosomes and vacuoles which have now been published in the latest edition of the Journal of Cell Biology (JCB). During the process of autophagy, damaged cellular components, unused proteins and other cellular waste are incorporated into a vesicle, called the autophagosome, rather like how domestic waste is packed up in bin bags. In mammals the vesicles are transported to a lysosome, or in yeasts and plants to vacuoles, the cell organelles. These organelles have a similar function to a recycling plant: they decompose the materials included with the autophagosomes, so that the individual components can be reused. Numerous proteins initiate and regulate the process in the cells: more than 40 different types have already been identified. However their molecular functions are still largely unknown. Also, until now it has not been understood how the autophagosomes fuse with vacuoles so that the cellular waste can be recycled. In her latest publication, the Freiburg biochemist offers a possible explanation: in order to understand what is needed for the fusion of the autophagosomes and vacuoles, Kraft and Bas and their team have traced the process in the laboratory. 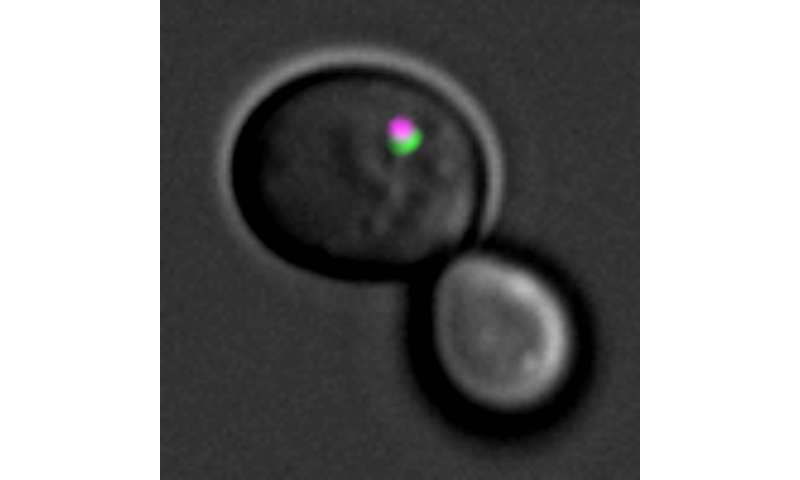 They segregated vacuoles, autophagosomes and intracellular liquid from yeast cells and created an environment in which the fusion could be observed in vitro, that is, outside a living organism. In general, membrane fusions require four bundled proteins known as SNARE proteins. Kraft and her colleagues have now managed to confirm that the fusion of the autophagosomes and vacuoles is also a process driven by SNARE proteins and that three already-known SNAREs are operative in the fusion process. They also discovered the fourth necessary SNARE, now called Ykt6. These results help to understand autophagy and its underlying molecular processes better. And thanks to their newly-developed in-vitro approach, in future it will be possible to identify other proteins that operate in the fusion process.